When emails are saved from Outlook using FileChimp we add specific information to the file attributes of each file. If you are looking to file emails based on the sender or recipient email addresses for any given email you can create a rule using the ‘Comments attribute’ which contains the email addresses for all participants (sender and recipients) of the email. To understand what it is doing you can also enable the ‘Comments’ attribute in Windows Explorer to display all email addresses. 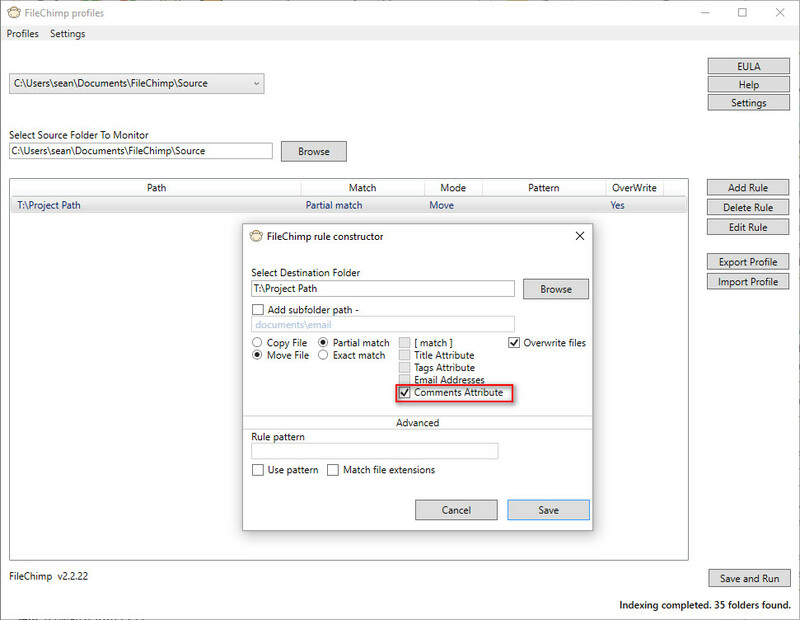 Note – If you want to file emails based on matching email addresses within a file name you can use the ‘Email addresses’ match rule option. We prefer to make use of the comments attribute as it allows you to keep your file names to sensible lengths.